In your search for healthier looking skin, you have, most likely, tried a lot of products that provide minimal results or completely fail to keep the promises. It’s so frustrating when you’ve put your faith into a product that fails to deliver the promised results. If you are still searching for a long-lasting, noticeable skin transformation, maybe it’s time to try HydraFacial MD®. Your HydraFacial treatment is not a quick fix, but you will see noticeable results after your very first session. The recommended treatment program is once every month for improving wrinkles, dark spots and congested skin. You and your practitioner will discuss your unique needs, and your specialist will determine an appropriate plan. While your HydraFacial may seem to work like magic, this treatment is backed by science. Your session begins with a medical grade serum. The HydraFacial machine will loosen dead cells and debris and vacuum your skin with a gentle silicone tip. There are six steps to the HydraFacial treatment. Each step prepares your skin for the next. After your session, you will realize that you’ve discovered a treatment plan that actually works. No more broken promises in a bottle. 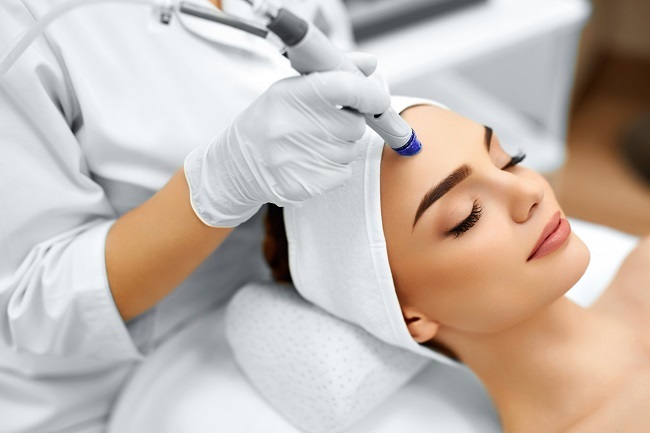 For the ultimate day spa experience in Killeen, TX, contact Shelly’s Day Spa and Salon, so you can experience the transformative effects of HydraFacial MD® yourself.